Hi, my name is Shiray, I’m 13 years old and I’m from Malaysia. Last year, I saw a lot of posts on Facebook about dolphin hunting. I was really curious, so I searched for info about it and I learnt a lot about what happens to dolphins in Taiji, Japan. Then I came across a movie entitled The Cove, which also tells the story of dolphins in Taiji. It was the most heartbreaking movie I have ever watched. That sparked my urge to know more about it. So I started to do research on dolphins in captivity. After some intensive research and countless tears shed, I went on to write about the sad fate of these marine mammals. Most of us assume dolphins have beautiful smiles because they are happy. But I want to tell everybody that the dolphin’s smile is the biggest illusion on earth. A lot of people don’t know that it is not really a smile. Dolphins will have that same “smile” even when they suffer from depression or pain, and even when they face imminent death. That beautiful and deceptive “smile” has caused them a lot of problems. 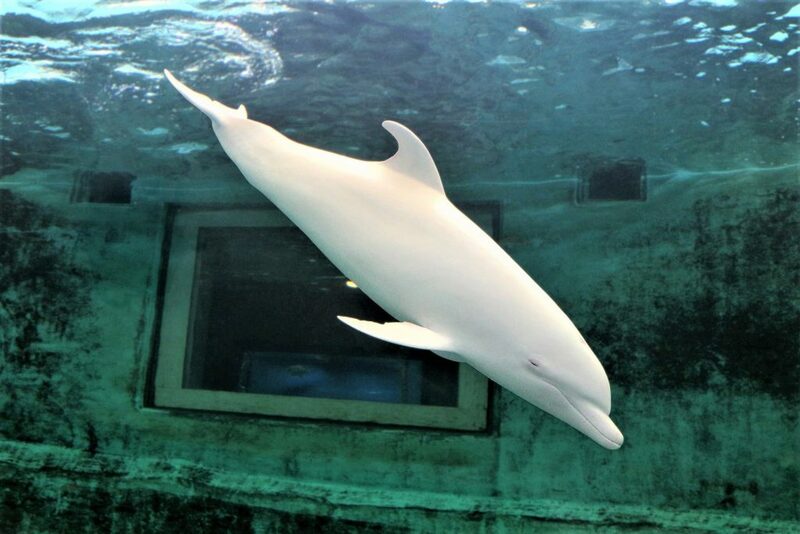 During my research, I even came across some people who shared such astonishing opinions as that dolphins in captivity are very lucky because they have shelter and free food so they do not have to hunt for food. So I am here to tell you about dolphins in captivity. 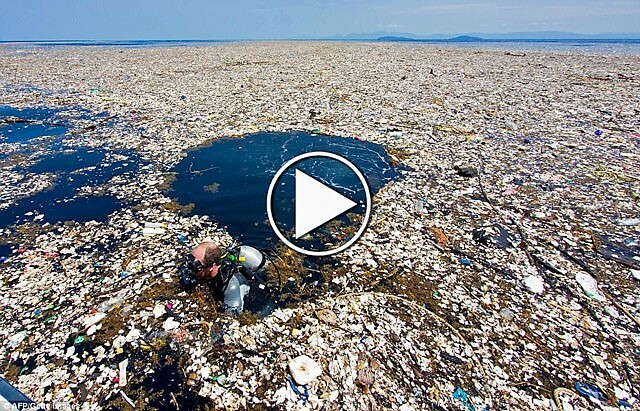 It’s a truly sad story that is happening around the world as I speak. Fishermen insert a sharp metal rod into the dolphin’s spinal cord, allowing the blood to spurt out. The water of the cove turns red with their blood, and the air becomes heavy with the smell of it. The dolphins whistle, shiver and tremble in pain to their death. The saddest thing is that they are forced to watch as their calves are forcefully taken away from them, and also as their own family members are tortured and killed, well aware that they are going to be next. These dolphins will be sold for large amounts of money to marine parks around the world, where they will begin their horrible lives as ‘performers’. They will live surrounded by walls, in small concrete tanks filled with chlorine and medicated water. They will be forced to eat dead fish and trained to perform all kinds of unnatural crazy tricks for the audience, all for profit. 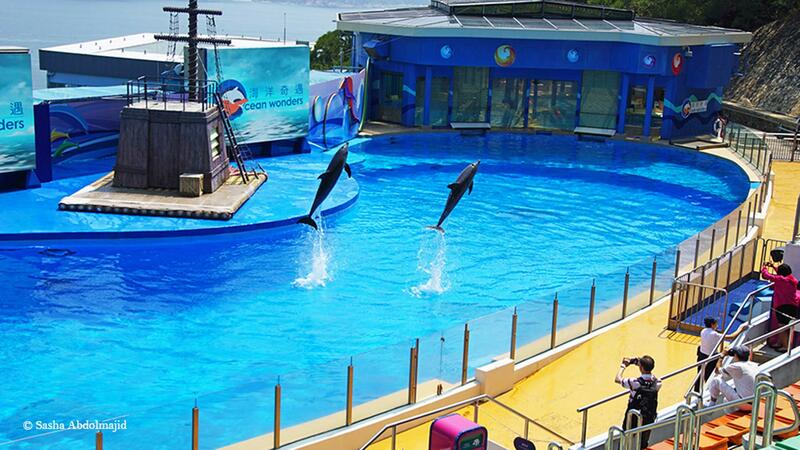 If you pay enough attention during the show, the dolphins’ eyes are always on the bucket of fish. That is because they are being deprived of food until they perform the right trick. “You do as I tell you, then you will get your food” kind of thing. That’s how they are forced to “work”, not because they love to do all the boring and repetitive tricks, but because they are hungry and they need to eat. We must understand that dolphins are highly intelligent mammals like humans, they also have feelings and complex emotions like us. They behave like humans! They have their own way to communicate. They each have unique names and call each other by these via distinctive whistles. They are self-aware as they can recognise themselves in mirrors; they can differentiate adults, kids or a pregnant lady. They learn to use tools to hunt for fish and, more surprisingly, they mourn for their loved ones. We can’t deny the existence of their complex emotions and stress just because we can’t understand their language. To all the trainers out there, can I ask you a question? Do you love dolphins? If you say yes, how can you capture them from their home in the ocean with your bare hands and rip them apart from their families and loved ones, and put them in jail, in a tiny concrete tank, for the pleasure and benefit of humans, making them into slaves of humans? That isn’t love, that’s called torture and abuse, and it is cruel. 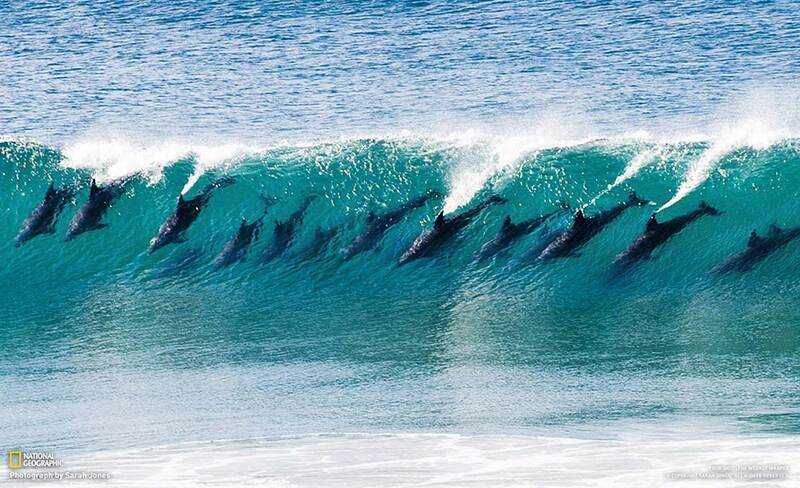 If you love dolphins, give them a chance, a chance to be in the ocean, where they belong! We all know deep inside our hearts, that we really want future generations to have a chance to see them in the wild and become friends with them. So please stop buying tickets to watch dolphin shows. If no-one wants to watch the shows, and no-one wants to see dolphins in marine parks, they won’t capture any more dolphins and hence there will not be any more killing. When we return wild animals to nature, we merely return them to what is already theirs. For men cannot give wild animals freedom, they can only take it away. Special thanks to Suzette Ackermann for inviting me to Hong Kong, and to Gaye Hunter and Sasha Abdolmajid for their editing support. This article is also available in French, German, Spanish and Japanese. I really enjoyed your speech Shiray. 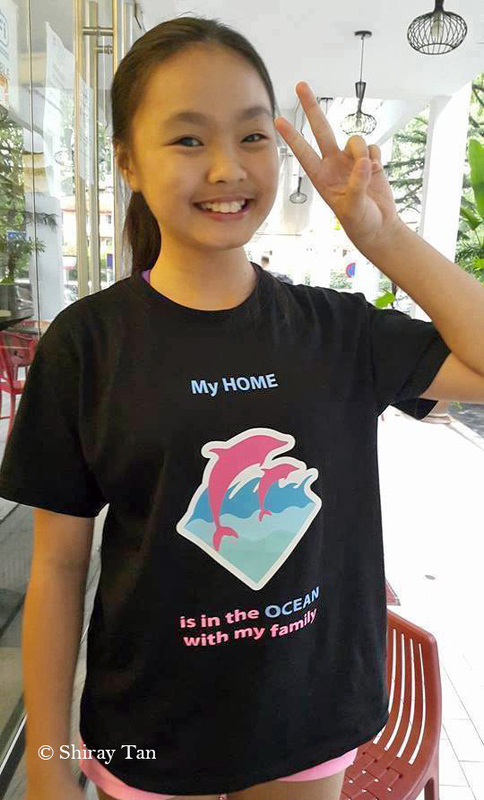 Thank you for standing up for the dolphins and educating others, especially young people like yourself. What you are doing is so very important! Shiray you are a phenomenal young woman and I hope your passion for dolphins and animals in general never ends. The voiceless need us to fight for them. Thank you, you are an inspiration!! You are an inspiration and clearly wise beyond your years. I wish I would have had a third of your knowledge when I was your age. Thank you for selflessly speaking up for the dolphins, you are truly a beautiful and amazing human being. The world needs more of you!!! I thought this was told really well and the research you did Shiray is fantastic lm hoping that this will help educate alot more people. Awesome! It touched my Heart deeply. You are a very intelligent and empathic young Lady, Shiray, I’m very impressed of your exact and difficil explained Story! Very good, thank you very much for it! I hope that we, which are working together for Dolphins and the big Whales, also for the Sharks and all animals which are in a dangerous Situation, will be soon more successful! Otherwhile we will destroy ourselves, because all creatures on Earth have a special place and are important for our System! Shiray, thank you for your well written, heart wrenching, and very informative article. You have done a great deed for the dolphins by writing this article. If we are to make a difference, we must change the attitude of the people. That starts with your generation. Lovely article and lovely sentiment from a lovely young lady. Fight the good fight and keep up the good work Shiray. I loved that you spoke your mind about the issue, I think that you are right about the whole thing! I just really hope you’re right. Even if we can’t free them at least i hope the marine park people would be able to give the dolphins an environment where they can feel like they are really free and happy. 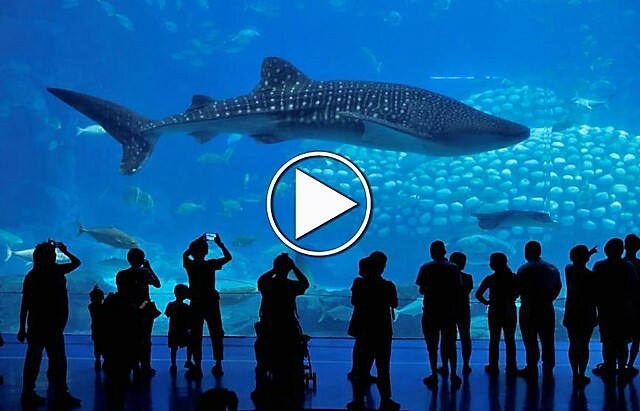 While I agree with you that keeping dolphins in captivity is not the best thing to do, there are some marine parks out there that save and free sea creatures. They only keep the sea creatures that would die if they were released back into the wild. If you don’t believe me, SeaWorld is a good example of this.